A map of North and South America in one! 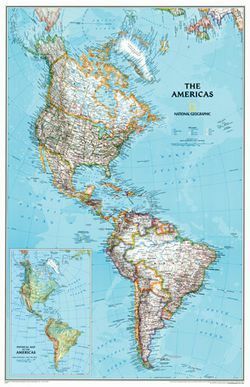 The Americas map by National Geographic shows countries, cities, capitals, major rivers and more! Nice blue for the water and some shaded relief to highlight the mountains.